Lock in a great price for Tangoinn Downtown – rated 8 by recent guests! The common area In general is clean and the kitchen is good. Excellent breakfast and nice staff. Staff was helpful. Breakfast is ok, scrambled eggs and crepes, if you can catch any. The breakfast was astonishing! Great value for the money. Large and cozy common areas with a great view to the lake. It's a very good hostel for its price. Rooms are clean, kitchen is big enough, stuff is friendly and willing to help if you have any problem. Unlike some other hostels I've stayed in before, they don't have any problems with wifi on the upper levels. Extremely helpful staffs. i.e., Both receptionists are extremely kind and speak very fluent English. Hence, during the nationwide strike when our scheduled flights were cancelled, they were very patient with us and tried their best to help us at the time of "crisis". For us, the hotel is ideally located on the main commerical road, being approx. 100mtr away from the bus station, easy for arrivial and departure. Funky hostel with a good vibe, staff was very friendly and helpful and breakfast was excellent (inc. crepes and scramble eggs). Friendly staff, good breakfast and good living area. One of our best sellers in San Carlos de Bariloche! 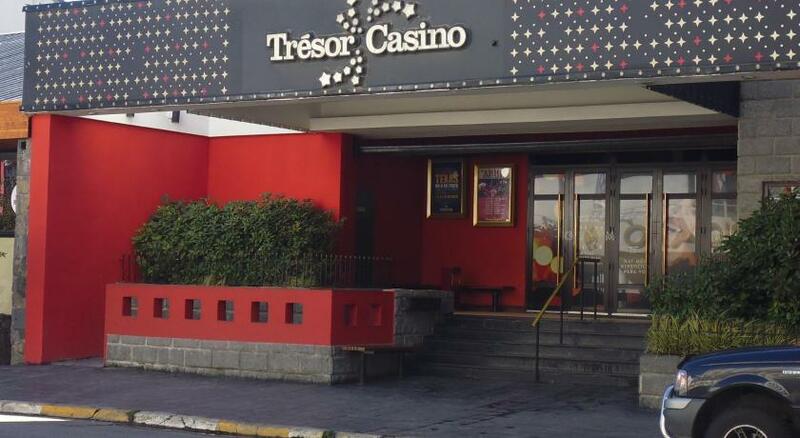 Tangoinn Downtown is just 650 feet from the edge of Lake Nahuel Huapi. It features a hydromassage tub, a lounge area with a pool table and free Wi-Fi throughout the hostel. Rooms at the Downtown Tangoinn feature private or shared bathroom facilities. Some units include a flat-screen TV and an private bathroom. Dormitory rooms feature private safety deposit boxes. A large breakfast is served in the hotel’s dining room. The hotel also features barbecue facilities, and guests can enjoy eating on the sun terrace in the summer months. Bicycles, skis and cars can be rented on-site – perfect for exploring the Nahuel Huapi National Park. After a long day outside, enjoy one of the best views in town from the comfort of the hostel hydromassage tub. Tangoinn Downtown is 1,950 feet from San Carlos De Bariloche downtown, and 8.1 mi from the airport. Free on-site car parking is available. 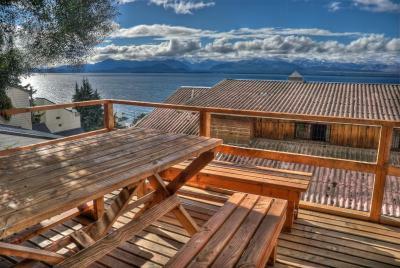 뀐 Located in the top-rated area in San Carlos de Bariloche, this property has an excellent location score of 8.2! When would you like to stay at Tangoinn Downtown? A spacious double bedroom with a TV and an private bathroom. Guests have a bedding choice of 1 double bed or 2 single beds. Guests should notify the hotel of their preference in advance. A spacious room featuring a private bathroom and a flat-screen TV. Guests have a bedding choice of 1 x double or 2 x single bed. Please notify the hotel of your preference in advance of your arrival. The rooms are accessed by stairs. Single bed in a dorm room. House Rules Tangoinn Downtown takes special requests – add in the next step! Tangoinn Downtown accepts these cards and reserves the right to temporarily hold an amount prior to arrival. Please inform Tangoinn Downtown of your expected arrival time in advance. You can use the Special Requests box when booking, or contact the property directly using the contact details in your confirmation. The manager asked a fee for luggage keeping. Great breakfast. Pancake and eggs. The receptionist Cristina was unnecessarily rude. The top bunk is quite high and there isn't a ladder. The breakfast was good. Pancakes and eggs. WiFi was soso. Also the water was constantly running in our bathroom.. so wasteful! Good location, amazing breakfast with eggs and pancakes, and staff very friendly. A bit far from the main parts of town and up on a hill. Breakfast was on the better side than other budget hostels I've stayed in (coffee, juice, yogurt, cereal, crepes, eggs, toast). Nice view of the lake. Rooms were pretty spacious (8 room ones at least). Staff was really helpful and nice with a lot of connections to tours that you can book through the hostel. The blonde receptionist made my night. I called the front desk at midnight while I was with friends in the opposite side of the town cause I thought I have lost my credit card. I asked gentily to check two spots where I was relaxing before getting out. Calling again she said "nobody had brought me something, so I will tell you if someone will". Panicking, I started running back and forth for the city looking for the cc. After one hour and more, I get back at the hostel where I found out that my credit card was laying down in one of the two places I asked to the girl to check. Beds - made of foam only so unless you like super soft mattresses gives you back and neck pain, pillows made of next to nothing, very very narrow beds, very hard to get into top bunk, sheets come off bed every time you move because the mattress is so light due to not having any springs in it Bathroom - shower head sprayed water all over the place and made it hard to wash, toilet flush kept breaking, floor always soaked by shower, everything pretty grimy Kitchen - all but one burner genuinely doesn’t get hot enough to boil water, and the one that does shoots flames up really high, again everything seems pretty grimy, no hot water from tap to wash up WiFi - didn’t work at all the first day and only downstairs by reception and a little in the living area on the other days, average speed at best when it did work Lockers - only some could be locked due to bad design and one of the ones that did lock opened far enough that someone could put an arm inside even when locked, inside of lockers dirty Cleanliness in general - seems like the bear minimum of cleaning is done, a quick wipe round but under the beds and behind the bathroom door and in the corners of rooms thick with grime and dust. Tbh it may just be really understaffed, so not enough people to do a proper job I don’t know. Overall seems like 10 years ago this place may have been cool but now it’s just run down, dirty, uncomfortable, and depressing. It’s very dark in the dorms even with the weak light on. The windows face out onto a wall of dirt and are barred so it feels like a cell (although I appreciate the bars are for safety). If you’re looking for a cheap nights sleep and can sleep in any conditions and don’t care much about cleanliness or cooking then this place is fine for a night or two. I can only imagine the good reviews of this place are from people who stayed in private rooms or something. Clean room and comfy bed with a good view of the lake. Flavia and Jade on the front desk were great. After I stayed in Bariloche for 4 nights in 4 different hostels I finally was able to book in this hostel. This is by far the best hostel in Bariloche. First of all, Flavia from the reception welcomed me with her big smile from the moment I came in the door and during the 4 nights I stayed there. Also, the room (of 4) was really clean (like all the hostel) and the common areas and wifi were great. But, the best thing in this place is the breakfast. The hostel staff made you omelet or pancake in the moment you came in to the kitchen. This was the thing that really make your morning good and tasty. The price was the lowest in all the city and it worth every penny. I will recommend this hostel for anyone who come to Bariloche. The location, the services and the atmosphere in this hostel are great and you want regret it. There are 3 floors and the stairs are quite narrow. The bathrooms are located one on the 2nd floor and one on the 3rd floor with a shower only on the 2nd floor. The cooking utensils are very minimal which made it a little hard to cook. All of the bedrooms are open so there isn't any privacy which was fine for our purposes. There wasn't a coffee pot or coffee maker of any kind. WiFi worked terribly bad. Facilities differ from room to room, from decent to poor. Great view over the lake. Cards accepted. Kitchen available for all guests. Simple breakfast provided.